After a long time of using, your computer may become too slow to work with. Using following simple tips and tricks, you can speed up your computer. Unless you are a designer, just install a small number of fonts in your computer. If you are using WinXP or Wins7, you can use the available Unicode fonts in the system. If you want to install a new font, you can do manually by copying the font file into C:\Windows\Fonts. If you already used this bar, don’t allow it to start with Windows to save 2 or 3 seconds in the booting process. To do this, you can right click on the first button and choose Exit, then select option “No”. This function is not useful for you at all. 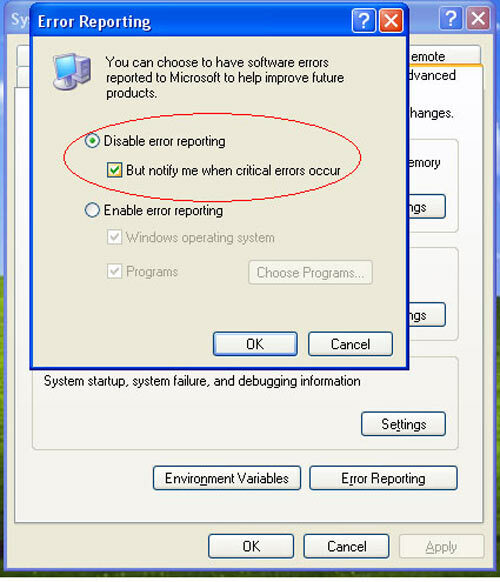 You can disable it by right click on My Computer, choose Properties > Advanced > Error Reporting and click on “Disable error reporting”. You may choose “but notify me when critical errors occur” for just in case. It may make you computer slow down 1 or 2 seconds in the booting process. Each time you install a program, this program will copy some .dll files in to the system. When Windows starts, it will load the .dll files and this process is time consuming. You can run this utility at: Start > Programs > Accessories > Systems Tools > Disk Defragmenter. You can use other programs. Disk defragment helps your computer access data faster. You can manage which programs will start with Windows by using Startup utility. 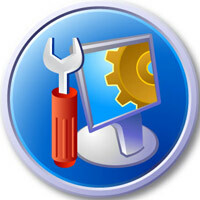 Choose Start > Run and enter msconfig to launch this utility. You can disable the programs that you don’t want to start with Wins in the Startup tab. 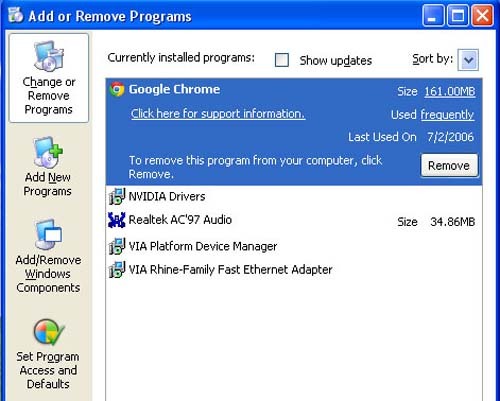 You can uninstall application by going to Start > Setting > Control Panel > Add or Remove Programs. Right click on you desktop, choose Properties > Themes > Windows Classic. This method is very good for slow computers. This function is similar to Shutdown but it will save all data in RAM to hard disk before turning off. To enable this function, you can go to Start > Settings > Control Panel > Power Options, then choose Hibernate tab and select Enable Hibernate.